In this timeless classic of personal time management, famed novelist Arnold Bennett writes: "You have to live on . . . twenty-four hours of daily time. Out of it you have to spin health, pleasure, money, content, respect, and the evolution of your immortal soul. Its right use, its most effective use, is a matter of the highest urgency and of the most thrilling actuality." 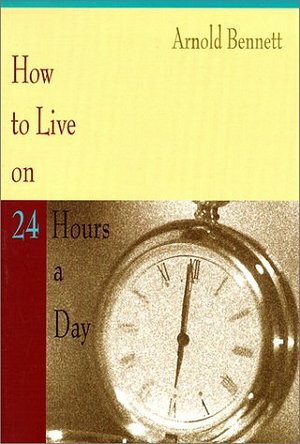 How to Live on 24 Hours a Day, a book that has helped millions throughout the world, tells you how to make the most of "the daily miracle"-the fresh allotment of time you receive every day of your life.